The possibility of a partial government shutdown is looming at the end of the week. If you are a federal retiree, you may be wondering what this means to you. What About Pay for Current Federal Employees? Please see our article covering information on the impact of pay for current federal workers for more information. Will I Still Get My Annuity Payment? The Office of Personnel Management has provided guidance on what happens to your retirement benefits in the event of a shutdown furlough. The information provided below highlights some of the key questions for retirees from the latest available guidance, last updated by OPM in September 2015. The complete document is at the end of this article. I recently retired from Federal service. Will my retirement application be delayed by a government shutdown? A. If your agency or payroll center submitted your retirement application to OPM, you will begin receiving interim annuity payments while OPM Retirement Specialists process your application. Because OPM Retirement Services is funded by the trust fund it manages, OPM Retirement Services employees will still be working normal operating hours during a government furlough. If your agency or payroll center has not yet submitted your retirement application or the application is incomplete, you will likely experience some delay as OPM must wait on other agencies to submit all of the information needed to process your retirement. Some of these agencies may not be operating during a government furlough. If a shutdown furlough occurs during the 3 years of service prior to retirement, what effect will time in a furlough status have on an employee’s high-3 average pay? A. Generally there will be no effect on the high-3 average pay unless the furlough causes the employee to be in a nonpay status for more than 6 months during the calendar year. What will happen to employees who would have retired during a shutdown furlough? A. For employees who, on or before the requested retirement date, submitted some notice of their desire to retire, agencies should, when the lapse in appropriations ends, make the retirement effective as of the date requested. The retirement request may be informal (such as a letter requesting retirement), and can be either mailed or personally submitted to the agency. Any additional required paper work, such as the formal retirement application form, may be completed when the agency reopens. No time spent by the retiree in such actions after the effective date of the retirement may be considered as duty time, since the individual would no longer be an employee of the agency. 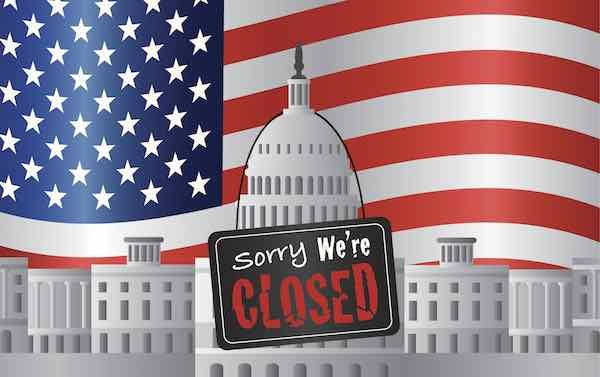 Are the retirement rules concerning the effect of a shutdown furlough the same for employees under the Civil Service Retirement System (CSRS) and the Federal Employees Retirement System (FERS)? If an employee is scheduled to retire before the end of the leave year with an annual leave balance of over the maximum leave ceiling (e.g., 240, 360, or 720 hours, as applicable) and the furlough prevents the employee’s retirement from getting processed until January, does the employee lose his or her annual leave above the maximum leave ceiling? A. No. The employee’s retirement would be retroactively applied to a date prior to the end of the leave year, and the employee would receive the full amount of accumulated and accrued annual leave in a lump-sum payment.